Four workers were raising a four-ton pipe, containing a number of laterals, into position. As the laterals were being lowered to the floor, one of the chain-falls jammed because it was not directly above the load. A worker stood between the pipe and the wall to allow the chain-fall to be used without the chain binding in the sprockets. During this process, the pipe slid in a pendulum effect along the floor toward the wall. The worker’s leg was pinned between the pipe and the cement abutment, breaking it below the knee. Side loads occur when the hoist line is not plumb over the load to be lifted. 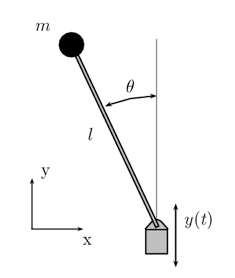 A pendulum effect is created where the load moves independently of the hoist. Side loading reduces the hoist’s capacity. Side loading can be very dangerous as it can destabilize equipment and cause structural failure or tip-over. Read the manufacturer’s operating instructions and warnings. Get training on how to use the hoist machine and how to properly rig and safely maneuver loads. Ensure the load’s path is clear of persons and obstructions. Personnel shall have an escape route in case of unexpected movement of the load or equipment. To prevent swinging, centre the hoisting apparatus over the load before hoisting. Centre the hoisting apparatus over the load before hoisting to prevent swinging. Lift the load up straight to ensure it does not swing. Avoid side pulls. Begin a lift by raising the load slightly to ensure the load is stable and balanced. If a load sways or looks unstable, lower it and make adjustments. To prevent swinging, always lift and drop the loaded hoist slowly and keep loads under control at all times. Use one or more taglines to prevent uncontrolled motion. Take into account factors such as wind that may add stress to the hoist and cause it to swing. An employer must provide such information, instruction, training and supervision necessary to ensure an employee’s health and safety. An employer must ensure a hoisting apparatus is sufficiently strong and stable for the intended lift, to ensure the safety of anyone using the apparatus or working in its vicinity. 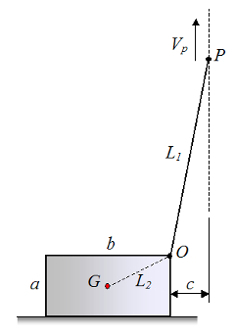 An operator of a hoisting apparatus must, when raising a load obliquely, ensure the hoisting apparatus is suitable for lifting a load at an oblique angle and that any pendulum effect does not constitute a hazard to anyone working in the vicinity. An operator of a hoisting apparatus must ensure that, where a pendulum effect may constitute a hazard to anyone working in the vicinity, one or more guide ropes are used to control the load.